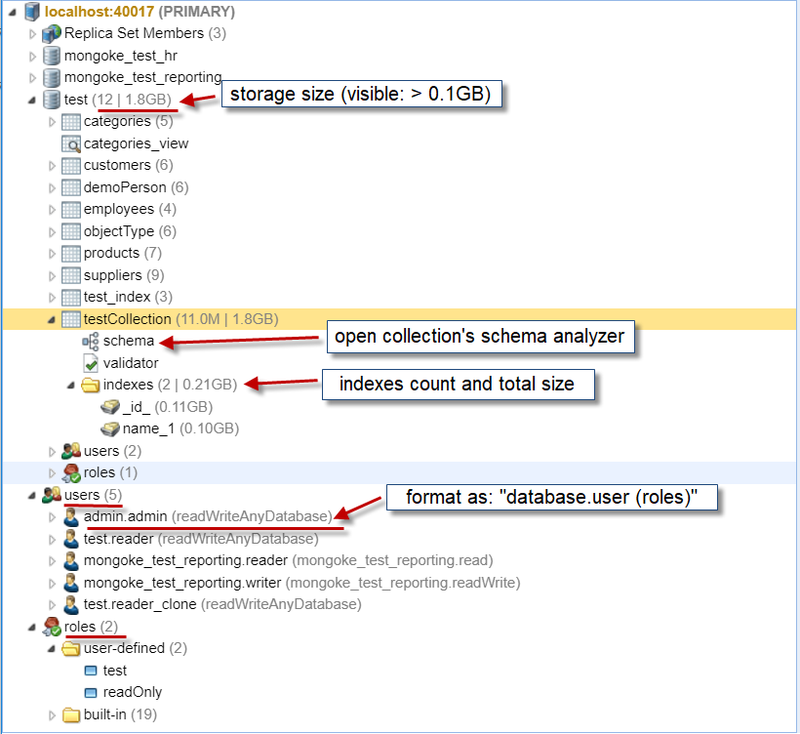 Let’s dive in and get an overview of what’s coming in NoSQLBooster 4.7! The release 4.7.2 is a minor update, it is mainly to speed up the opening of the Script editor, modify default code template for opening collection. Added, option: “AutoExecute Script When Collection Node is Double-Clicked”, toggle this option to enable/disable auto-execute script when collection/view node is double-clicked. Fixed, the ability to increase the paging size does not work correctly. 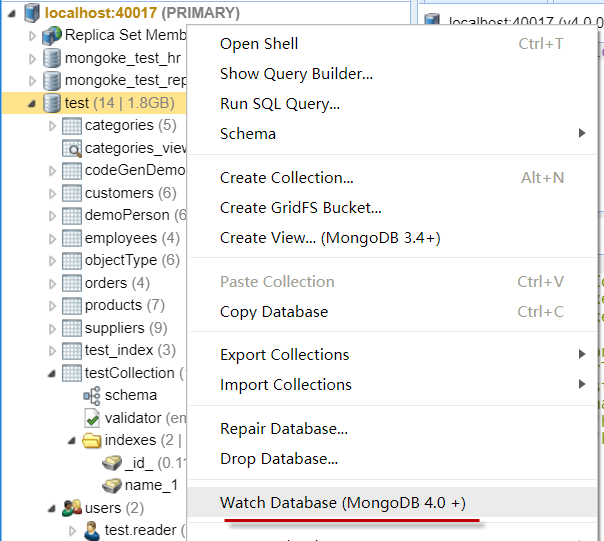 In previous versions, each tab has an embedded MongoDB shell, and each embedded Shell will acquire an exclusive MongoDB client connection, the main purpose of this is to simplify programming and debugging, but the simple one-tab-one-connection model wastes connection resources and slows the opening of new tab. In the new version, we use an all-application shared connection pool, the multiple-tabs-one-connection mechanism can greatly improve the efficiency of “open tab”, makes the application’s UI response smoother. Please download to give it a shot now. 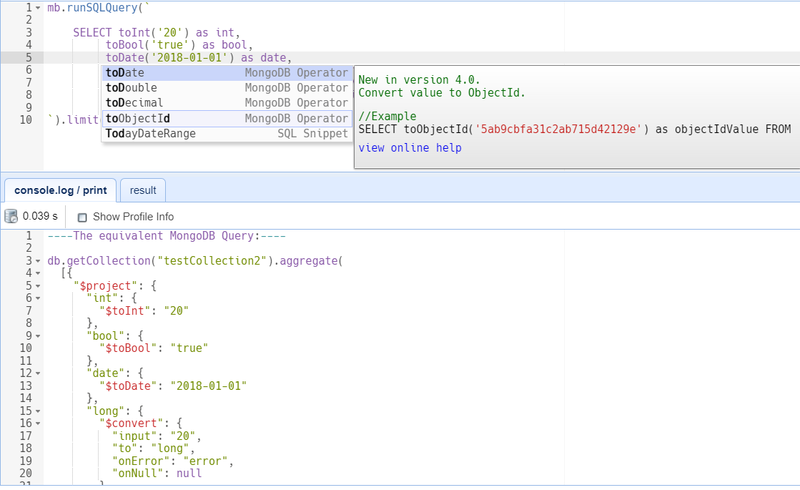 MongoDB 4.0 adds many new aggregation operators for type conversion, string operations and date operations. NoSQLBooster 4.7 allows new MongoDB 4.0 aggregation operators are available for NoSQLBooster SQL Query in the form of SQL Functions. 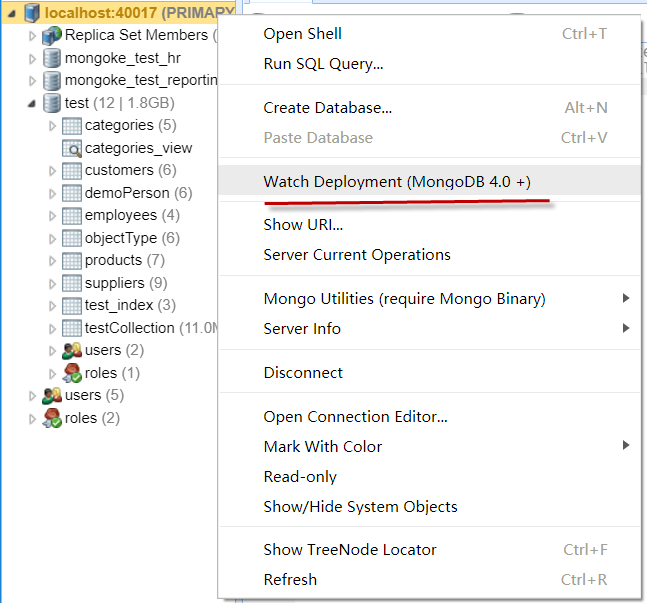 Starting in MongoDB 4.0, you can open a change stream cursor for collection, database or deployment (either a replica set or a sharded cluster) to watch for data changes. 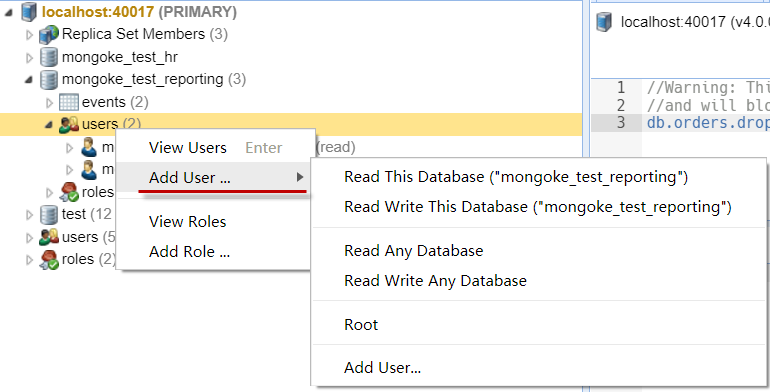 In NoSQLBooster 4.7, We have also added UI and code snippet which allow you to watch database/deployment data changes with a few clicks. NoSQLBooster 4.7 adds two new tool functions for ObjectId ↔ Timestamp conversion. Why generate an ObjectId from a timestamp? Each MongoDB ObjectId contains an embedded timestamp of its creation time, to query documents by creation date. In addition to Windows and Macs, NoSQLBooster 4.7 adds auto-update feature on Linux . The auto-updates feature enable NoSQLBooster to automatically update itself, so your copy will always be up-to-date.